All-Pro Mechanical is proud to serve the Richland community! Please call us today at 269-965-0850 to consult with our home comfort specialist. About Richland, MI - Happy to be your hometown Heating & Air Conditioning Contractor! 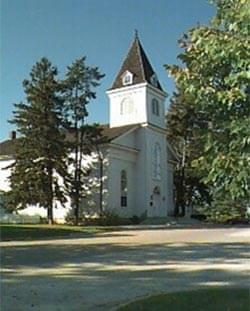 Richland is a small Michigan village located in Kalamazoo County. The population is less than 800 residents, and it is located in Richland Township about nine miles from the City of Kalamazoo. This village is also small geographically and only consists of 1.01 square miles of total area, all of which is land. The weather of this area typically consists of hot and humid summers. Winters are cold, and moderate to heavy snowfall can be expected. Richland is a small town and only a few attractions are found here. Art enthusiasts may enjoy the Silver Moon Art Gallery or the Little Yellow Frame Shop, both of which are located in Richland. Car lovers may like to make a trip to nearby Hickory Corners to visit the Gilmore Car Museum, and outdoor enthusiasts may enjoy spending a day at Fort Custer State Park in Augusta or Gull Lake Island in Ross Township, Michigan.